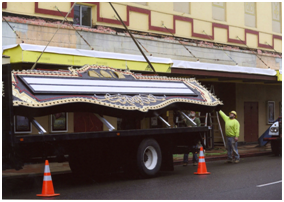 The City of Coos Bay and the Egyptian Theatre Preservation Association first assumed ownership and preservation responsibility for the Egyptian Theatre in 2006. Much has been accomplished since that time to restore, renovate and preserve the Theatre. During year 2006 we were engaged in organizing, fundraising and extensive clean-up inside the Theatre. 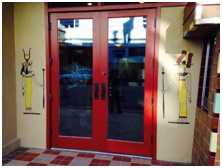 The organization incorporated on March 16, 2006 as the Egyptian Theatre Preservation Association (ETPA) and entered into an agreement with the Coos Bay Urban Renewal Agency, the owner of the Theatre, to preserve, restore and operate the Egyptian. On August 8, 2007, the ETPA was granted tax-exempt status as a 501c(3) organization by the Internal Revenue Service. This exempt status was deemed to be retroactive back to the original date of incorporation on March 16, 2006. From 2007 to 2010 numerous repairs and improvements were made to the Theatre. 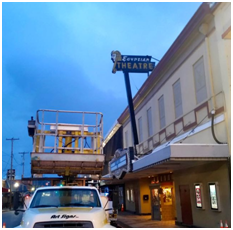 The most notable were the installation of a modern, natural gas fired heating system made possible through a generous grant from the Coquille Tribal Community Fund and the removal of the mini theaters that had been built by a previous owner into the balcony area. The Egyptian Theatre balcony was once again opened to the public for the 2007 annual Wurlitzer organ Sounds of Music Christmas Concert. Mitigating flood concerns under the stage. Raising the Wurlitzer organ console and initiating restoration of the Theatre’s organ itself. Cleaning up the backstage area. Refurbishing the lobby concessions area. Refurbishing the main auditorium floor. Upgrading the mezzanine restrooms with new toilets. Enhancing electrical service to the projection booth and adding projection equipment that enhanced presentation of movies at the Egyptian. Repairing, replacing, and restoring stage lighting on the front of the balcony and fixtures throughout the Theatre. 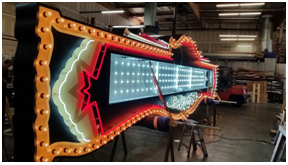 In 2010, the City of Coos Bay commissioned an engineering study to help identify, estimate and prioritize Theatre restoration activities. The resulting study indicated that the rear wall of the Egyptian was not structurally sound and was essentially sinking into the silt beneath the Theatre. 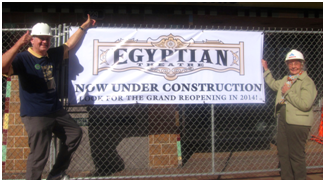 The City of Coos Bay determined that the building was not safe for occupancy and closed the Egyptian early in 2011. 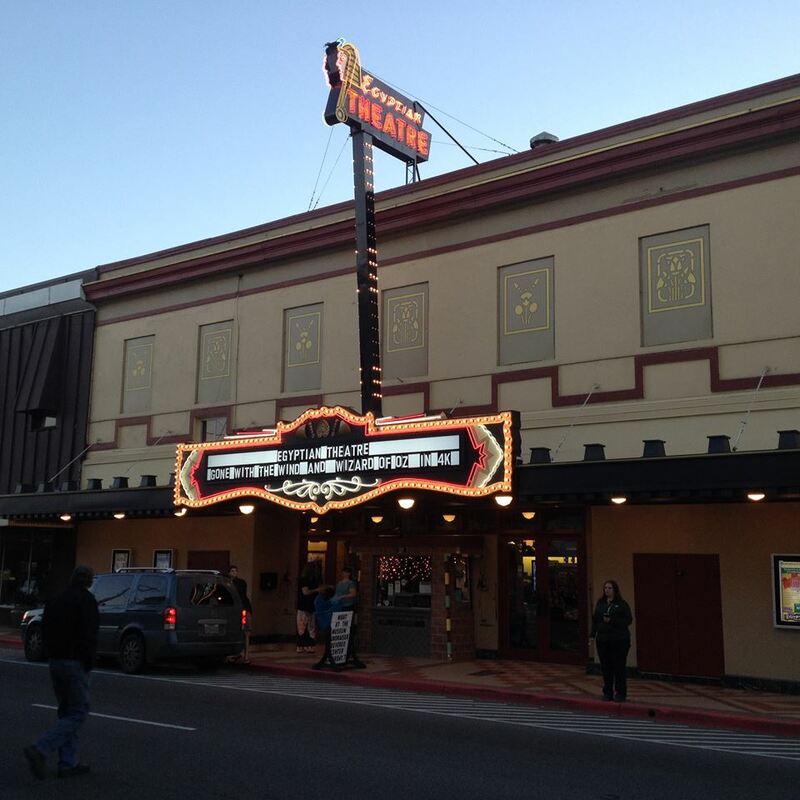 The Historic Preservation League of Oregon (Restore Oregon) listed Coos Bay’s Egyptian Theatre on Oregon’s Most Endangered Places list in May of 2011. Over the course of 2011, the City and ETPA studied what needed to be done, and devised a plan to raise the funds required to implement the structural modifications needed. The ETPA reorganized itself to focus on the task at hand and, with the City’s help, retained key experts to assist in the process. These included George Kramer, noted Preservationist and past chair of the Oregon Preservation Commission; Herb Stratford, owner of Historic Theatre Consultants, with a long history of operating historic theatres, and serving on the Board of the League of Historic American Theatres; and Rich Foster, Principal of Cascadia Consulting Partnership, who designed our capital campaign and assisted in developing and implementing our grant funding strategies. 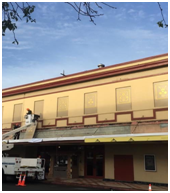 In June 2014 the Theatre re-opened with structural issues fully addressed, new roofing over the fly loft (back portion of the theatre) and drainage systems, enhanced electrical service to the Theatre, main floor ADA compliant restrooms installed, restoration of the lobby and portions of our Broadway entry, and the hire of an experienced Executive Director/Theatre Manager, Kara Long, to take the Egyptian Theatre to the next level … a truly vibrant entertainment complex operated for the benefit of the greater Coos Bay Area community. 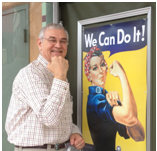 George Kramer, our historic preservationist, designed a series of five Broadway façade restoration/enhancement steps that we could implement over time. 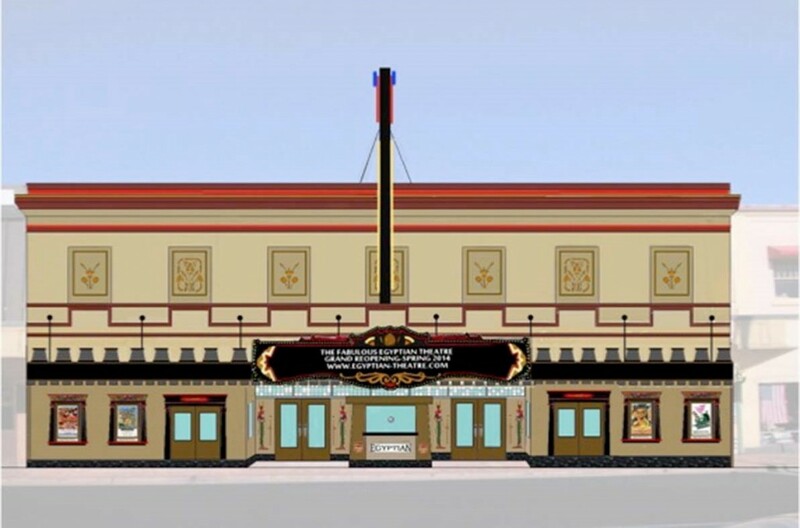 We were able to raise the funds required to implement the first four steps prior to our Grand Re-Opening of the Egyptian Theatre. 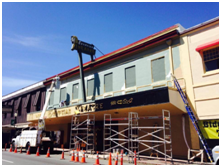 By the end of 2015 we had raised the remaining funds needed to complete the last step of George’s Broadway façade restoration plan. By May 2016 we completed the installation of the new canopy/awning (whose design harkens back to the original awning the Theatre sported), the mounting of the new “ETPA logo” marquee on the front of the canopy/awning, the refurbishment of the Egyptian head pylon sign, decorative painting at the entrance and above the canopy/awning, and the installation of new display cases with LCD TVs. 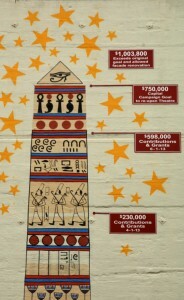 This brought to completion the majority of our structural and external restoration of the Egyptian Theatre. All that remains of our external preservation is to raise the funds for putting a new roof on the front, flat portion of the Egyptian (a re-coating of the existing roof was performed in mid 2014, but a new roof will be needed before 2020) and, possibly, to mount the Egyptian neon lighting symbols saved from the demolition of the old canopy/awning on the back wall of the Egyptian so that they can be seen from the City’s main parking area and beckon patrons to the Theatre.